This dataset illustrates health status of 26 of the nation’s largest and most urban cities as captured by 34 health (and six demographics-related) indicators. These indicators represent some of the leading causes of morbidity and mortality in the United States and leading priorities of national, state, and local health agencies. The Big Cities Health Coalition (BCHC) is a forum for the leaders of America’s largest metropolitan health departments to exchange strategies and jointly address issues to promote and protect the health and safety of the 54 million people they serve. Public health data were captured in nine overarching categories: HIV/AIDS, cancer, nutrition/physical activity/obesity, food safety, infectious disease, maternal and child health, tobacco, injury/violence, and behavioral health/substance abuse. 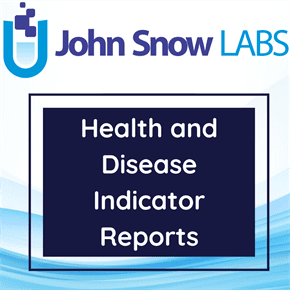 Health indicators represented in the dataset were classified by year of the data acquisition, by male, female and both genders, several races or ethnicities. The dataset contains also the number of cases calculated per each indicator. The indicators were classified by city, gender, race or ethnicity. JSL enriched this dataset by the geographical information, such as Latitude and Longitude of the cities.